Alex is the second of the Three Mutant Lefties in the society. Boom Boom joined us in 2001 and has earned his nickname by being one of the longer hitter in the society. Having suffered an injury setback last year (Tennis Elbow) this had affected his recent form. 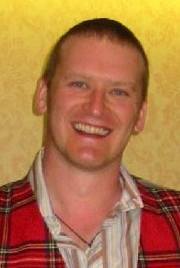 Boom Boom also is unmissable on the golf course as he is mostly seen with his plus-fours and brightly coloured attire! Alex is also now eligible for the HGS Senior Tour along with Cookie. Recently Alex has been out of the country and has missed out on society events including the 2004 event in France. Nick joined us in 2000 and was one of the most improved players during the 12 months between yearly competitions in 2002/2003. Nick is known for drinking at three times the speed of anyone else in the society, so try to keep up with him at your peril. Nick is known for the volume of his snoring hence being paired with Boom Boom during 2003's Norfolk event who also is known for his snoring prowess! Nick is known to sink many a long putt on the golf course. 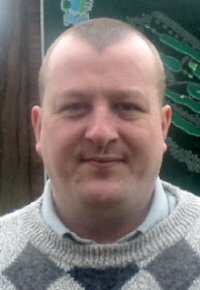 Nick has since moved to Middlesborough, and married to his lovely wife (still not used to saying that 'married' thing about you Nick![ed.]) hence his guest status now. We hope to see a few trips from Nick to a few matches this year. No Film Yet Richard joined the society during 2002 after being introduced by his work colleague Corky. Unfortunately, within 18 months of Corky joining Staverton as a buyer, the company was put into administration, with massive debts. The whole workforce found themselves facing redundancy, and poor Richard was looking for a new job. His search for work took him to Solihull where he now lives. This unfortunately restricts his appearances at the Monthly meets and means he is only likely to be seen at the yearly events. To his credit, Richard attended the 2003 event and wound up taking home the 2003 Top Dog Trophy. Due to his financial commitments with his new home in 2004, our brummie friend was unable to defend his title and missed out on France 2004. Perhaps 2005 may get him a guest spot, who knows! Short! Just missed the Sand! A dentist by trade, Graham filled in for us at our 2004 Yearly Event in France along with 3 other rookies that year. Graham reached a superb 3rd place, is this Rookies Luck?! Unfortunately for Graham, as membership is manageably restricted to 24, Graham remains a Guest of the Society for the time being. 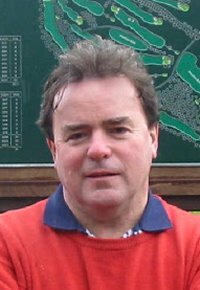 Graham is a member of Chartham Park Golf Club where he has seen his handicap drop around six strokes during 2003/4. 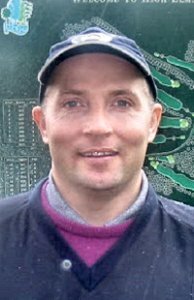 His driving has been superb on recent events so we should see his handicap reduce if he keeps up the steady scoring. Yeah, He did miss the Green! 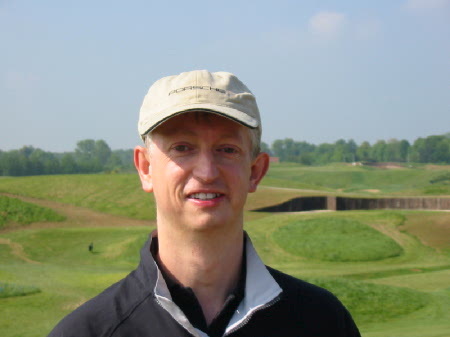 Brett was introduced to the society in 2002 by Clacky, Brett has joined us on a number of occasions throughout 2003 on our monthly outings and played a good set of rounds in the 2003 Yearly event to help Europe earn the Ryder Cup title. Brett won by the largest margin in his Ryder Cup Singles match. He is another of the Lefties in the society. Brett has managed to provide the best ever excuse in HGS history for not turning up for a monthly event. When asked sometime in 2002 is he was available, his answer was "unfortunately not, I don't have enough clubs in my bag! !